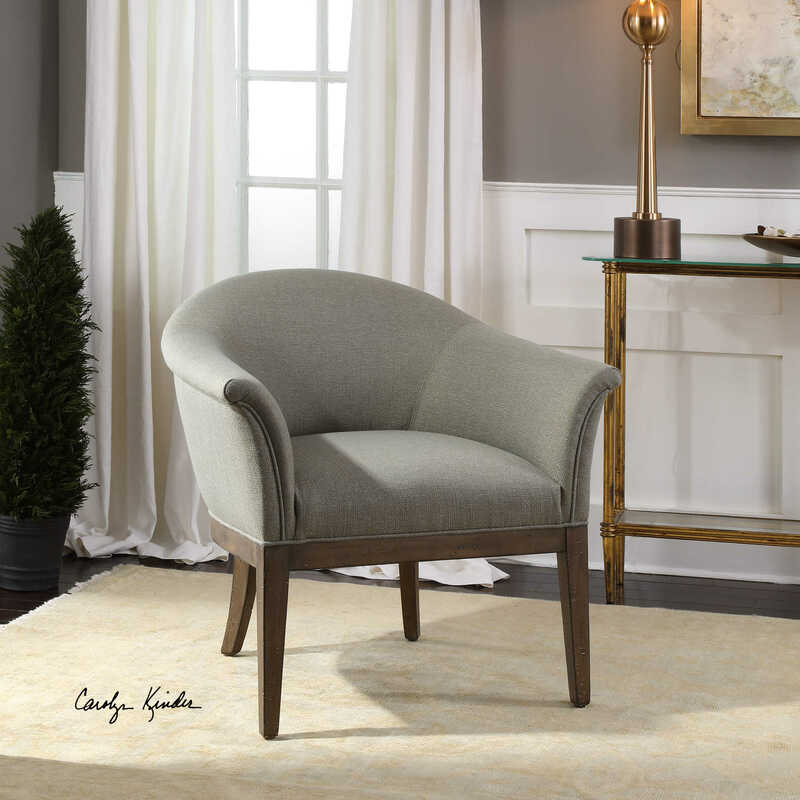 The Margaux Accent Chair is both comfortable and inviting. This barrel-back style is covered in a soft sea mist, polyester fabric, on a solidly constructed hardwood frame with reinforced joinery. It is finished in a lightly weathered oak with a light tan glaze. Seat height is 20″. Designed by Carolyn Kinder International. Available to trade professionals at Uttermost.com. For retail purchase Google search term “Carolyn Kinder Margaux Accent Chair”.